This item can be customized. For custom Embroidery follow the steps below. 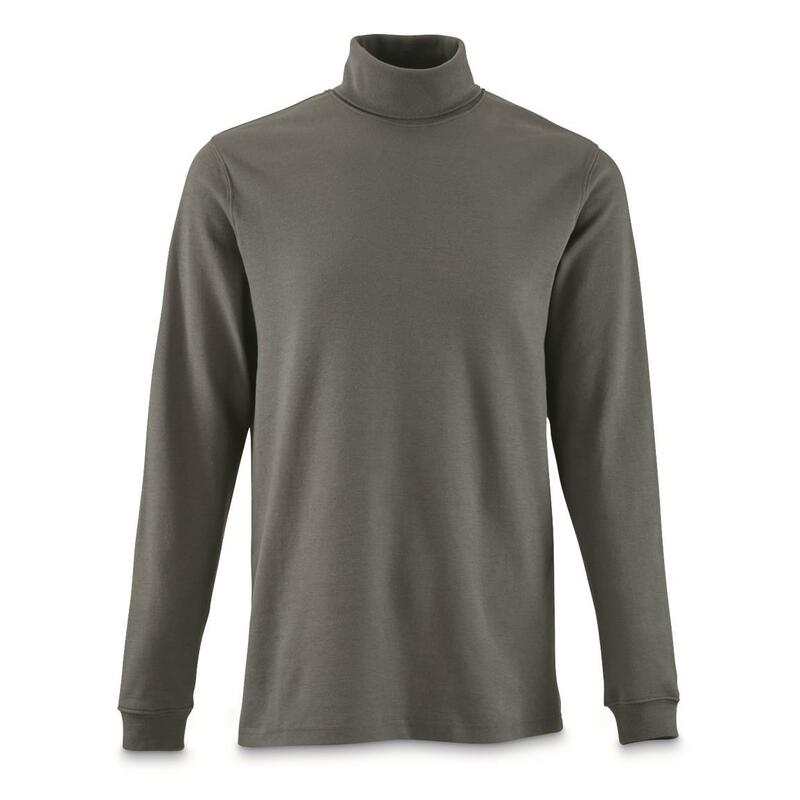 Whether you wear one as an extra layer on a chilly day or as a stand-alone shirt, you can't beat our classic Guide Gear® Turtleneck. The soft 7-oz. 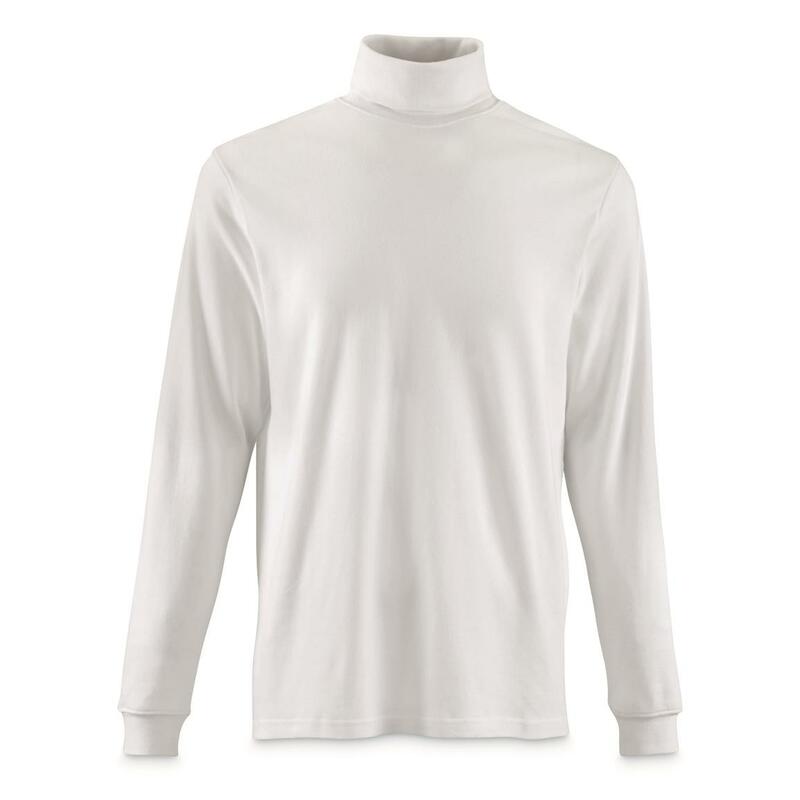 cotton delivers just-right warmth, and a touch of spandex in the collar and cuffs provides the comfortable "give" you need from a turtleneck. 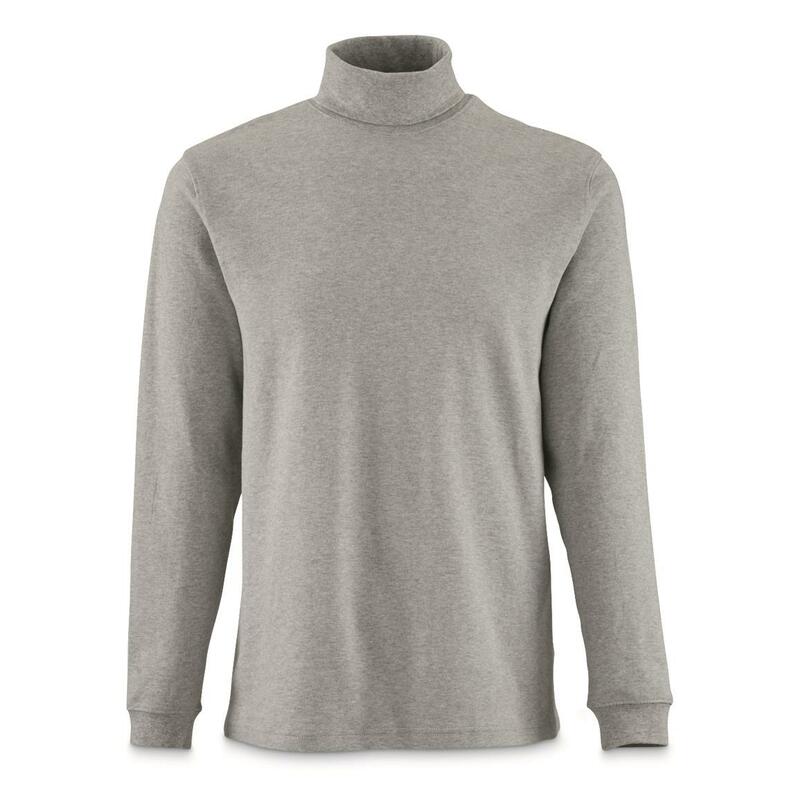 Time-tested and always in style, the Guide Gear® Turtleneck is sure to be a new staple in your wardrobe. 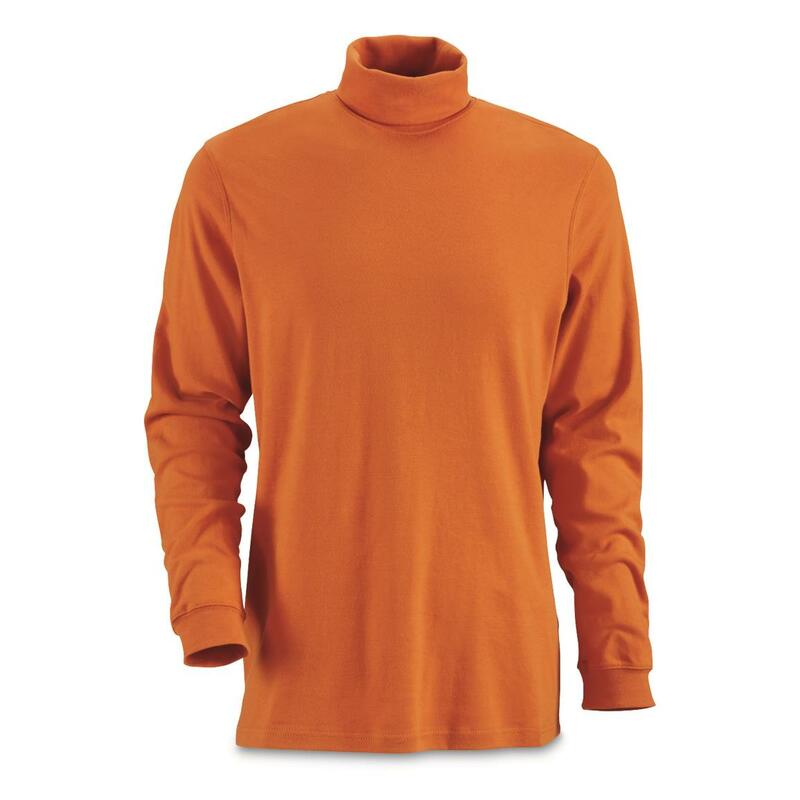 Guide Gear Mens Turtleneck Long-Sleeve Shirt is rated 4.7 out of 5 by 165. Rated 5 out of 5 by PeeWee from Great Turtleneck! I use turtlenecks every day for exercising outside in the morning. These are the best I've ever purchased.The material is thick and soft, and the neck fits snugly and comfortably.I'll definitely be coming back for more the next time I need them. Rated 5 out of 5 by Dave from Very nice fit I am tall and thin and have long arms. This shirt in tall fits very well. The neck is comfortably snug. The cotton is warm and dense and the shirt is nicely made. Rated 5 out of 5 by Hunter Michael from Very Warm and Comfortable I purchased a black colored one a year ago, it was so comfortable that this year I purchased two more in different colors. They are thick, well made and hold up well. Yo can wear them as a dress shirt to the office, or out doors in the field, works either way. They are 100% cotton so if you want to put it in the dryer you may want to order one size larger. Fits true to size. Rated 5 out of 5 by Scott from very nice, warm, thick enough Guide Gear as usual delivers a very quality turtle neck, while noting these are mock as in not high up your neck. Enjoy the warmth! Rated 2 out of 5 by Marykaye from Runs short. Not very soft This is a good 2 inches shorter than other 2X Talls from other sites.Sleeves are much smaller around which when wearing it makes it even shorter. Not very soft even after washing and using fabric softener. Rated 4 out of 5 by GGG3 from Great fit and fine price. 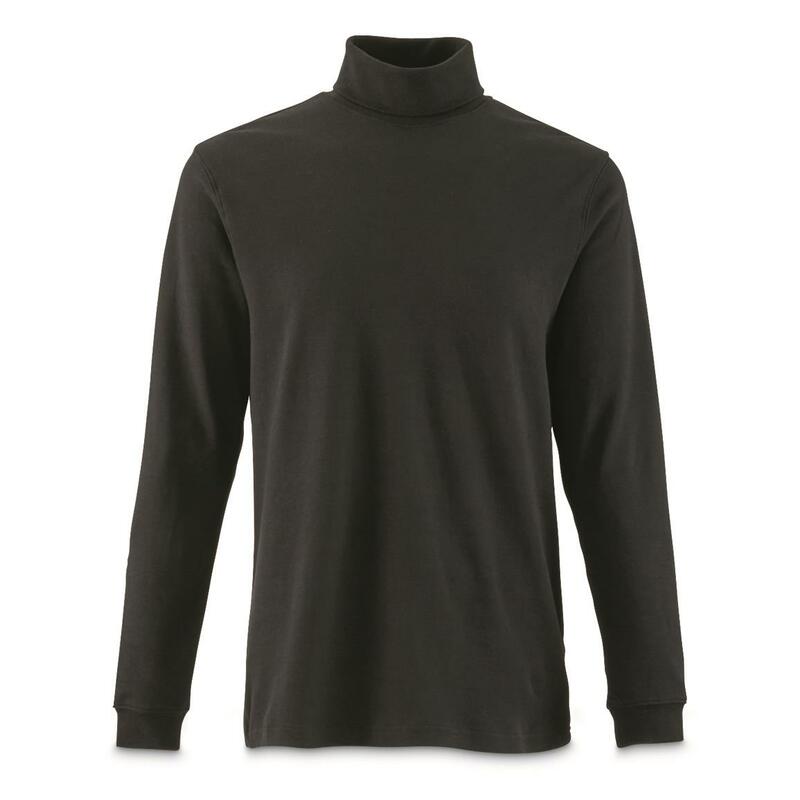 I used to make organizations such as DAV, AMVETS and others very happy when I gave them brand new turtle necks and mock ones that didn't fit me worth a darn. 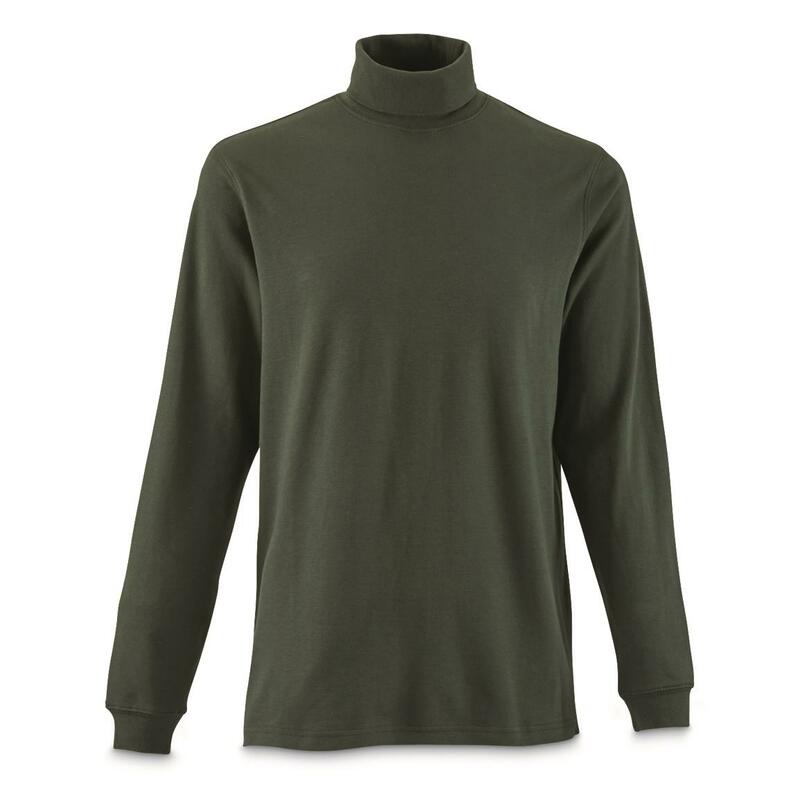 When I tried the Sportsman's Guide turtle and mock necks I found they fit perfectly and also looked very nice. I now have about 15-plus turtle and mock necks in every color available and even wear them to church in stead of shirts with neckties. 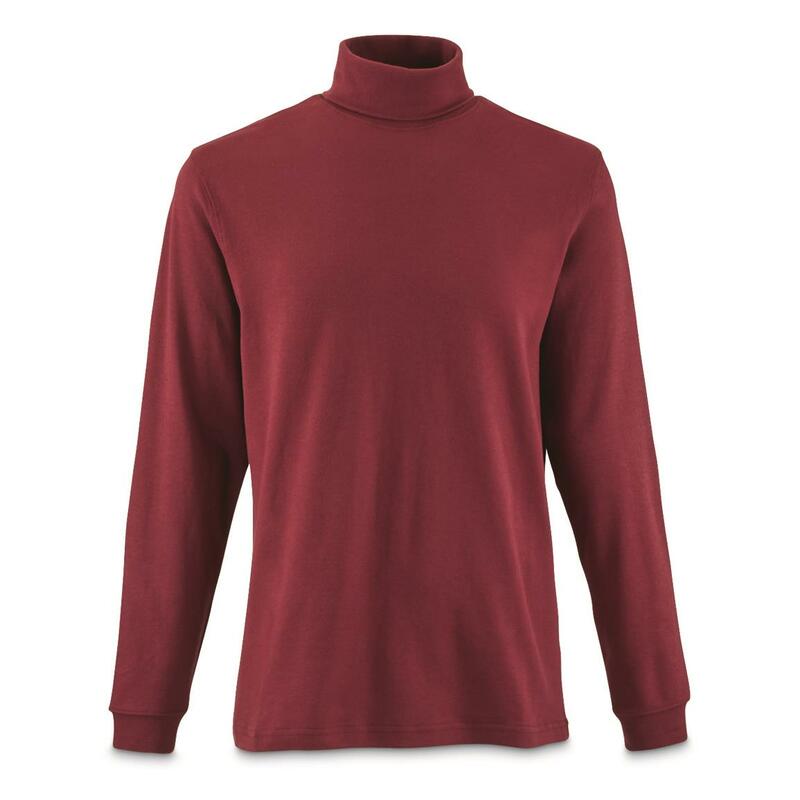 Rated 5 out of 5 by Dway from Great Price Turtleneck sweater is made of good material. It is comfortable and I like the color.Considering getting another.